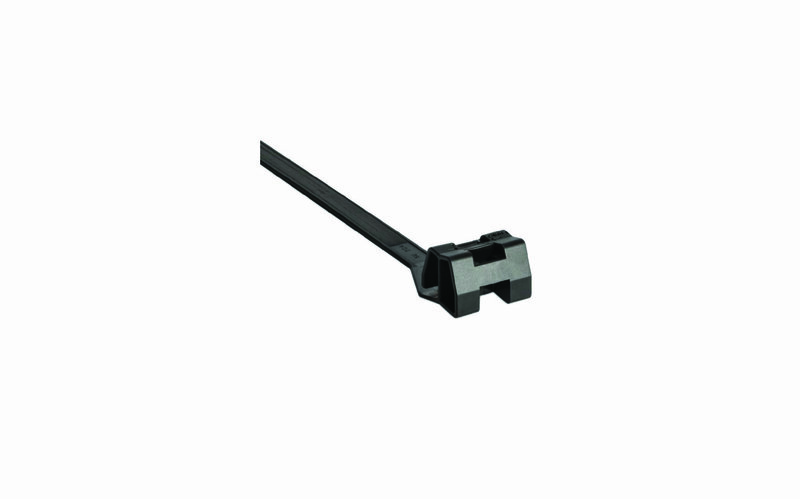 Say goodbye to cable insulation damage caused by ill-fitting cable clamps. Say hello to the Ratchet P-Clamp. In answer to the dilemma, HellermannTyton product designers came up with the Ratchet P-Clamp, a cable clamp with separate cable fastening and cable routing functionality surrounded by a plastic ring, which can be flexibly adjusted to the precise diameter required. 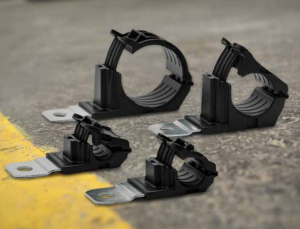 This offers a host of advantages when fitting clamps for wiring and hoses on construction equipment, tractors, cranes, lorries, trailers, trains or machinery. You are always looking to reduce costs and streamline work flows. But to adopt a new component, it also needs to meet your needs for versatility, durability and ease of use – without compromising performance. The Ratchet P Clamp’s patent-pending design makes it extremely versatile for managing wire harnesses and cables. Its rugged construction and specialized materials are perfect for heavy duty applications, indoors and out. 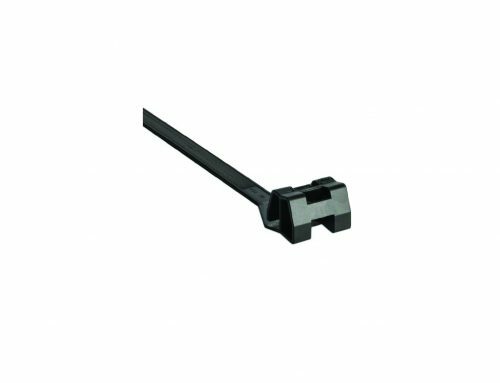 You close the one-piece adjustable clamp manually, exactly to the desired diameter. Audible clicks let you know that it’s secured. Releasing the bundle is simple and nondestructive – all you need is a small, flat head screwdriver. Offered in four sizes and in several mounting configurations, the reusable design minimizes part inventory, speeds fastening and simplifies maintenance. • Ease of Use – Position, torque down, close by hand – that’s it!